Dr. Annabel Mead, MBBS, is Director of the St. Paul’s Hospital Goldcorp Addiction Medicine Fellowship with the BC Centre on Substance Use, Clinical Assistant Professor with the Department of Family Medicine at the University of British Columbia (UBC), Consultant Physician for the Complex Pain and Addiction Service at Vancouver General Hospital, and an Addiction Medicine Physician with the St. Paul’s Hospital Addiction Medicine Consult Service. Her primary research interests and expertise include trauma-informed care, prevention and early intervention in substance-using populations, and safe and effective clinical management of opioid addiction and/or chronic pain in urban health settings and among vulnerable populations. 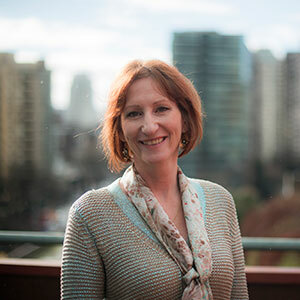 Over the span of her medical career, Dr. Mead has developed clinical expertise in addiction medicine, complex pain management, concurrent psychiatric disorders, and women’s health, with a consistent focus on integrating teaching activities that foster excellence in clinical practice, leadership, research, and advocacy within the next generation of healthcare professionals. She has been involved in the design and implementation of medical education curricula in a range of practice settings and topic areas, including clinical management of sexual assault, safe opioid agonist prescribing, psychosocial interventions for substance misuse, and complex pain conditions. Dr. Mead has maintained certification as a Diplomate of the American Board of Addiction Medicine since 2015. She has been a Fellow of the Royal Australasian Chapter of Addiction Medicine since 2005, completed a diploma in Obstetrics in 1991, and obtained her medical degree from the University of Tasmania, Australia in 1986.